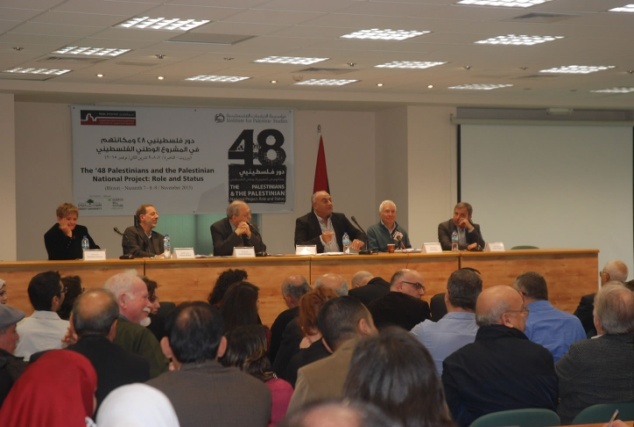 The '48 Palestinians and the Palestinian National Project: Role and Status’ held in partnership with the Institute for Palestine Studies on November 7 – 9, 2015. 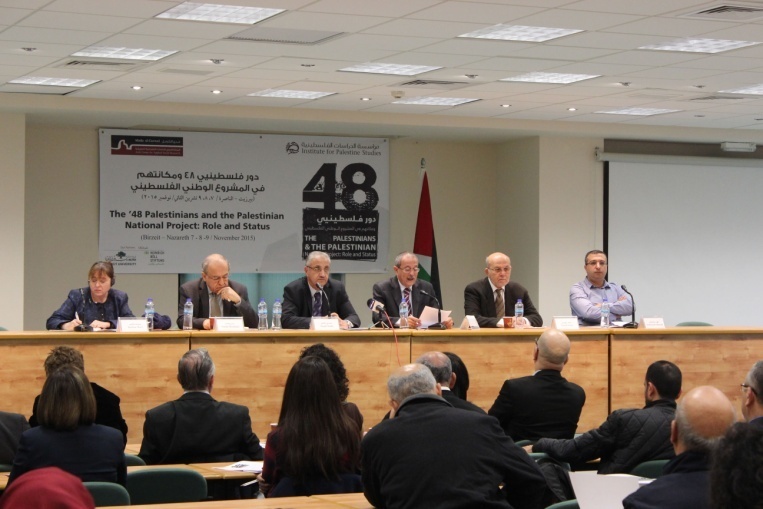 The first two days of the conference were held at Birzeit University while the third day was held in Nazareth. 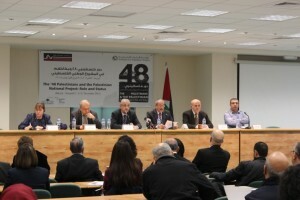 Eight sessions were held during the three-days and ranged in topics/issues such as ‘The Palestinian National Movement and the ’48 Palestinians: Perspectives and Historical Dynamics’, ‘The Experience of the Joint List: a Model of Collaborative Work’, ‘Internal Constraints to Strengthening the Role and Status of the ’48 Palestinians in the Palestinian National Project’ and a Roundtable on ‘The Stances and Visions of the ’48 Palestinian Political Streams regarding the Role and Status on ’48 Palestinians in the Palestinian National Project’. The conference was attended by over 300 individuals representing a diverse group, including academics and researchers, university students, politicians, representatives of civil society including NGOs and grassroots organization, journalists and representatives of consulates and diplomatic missions. 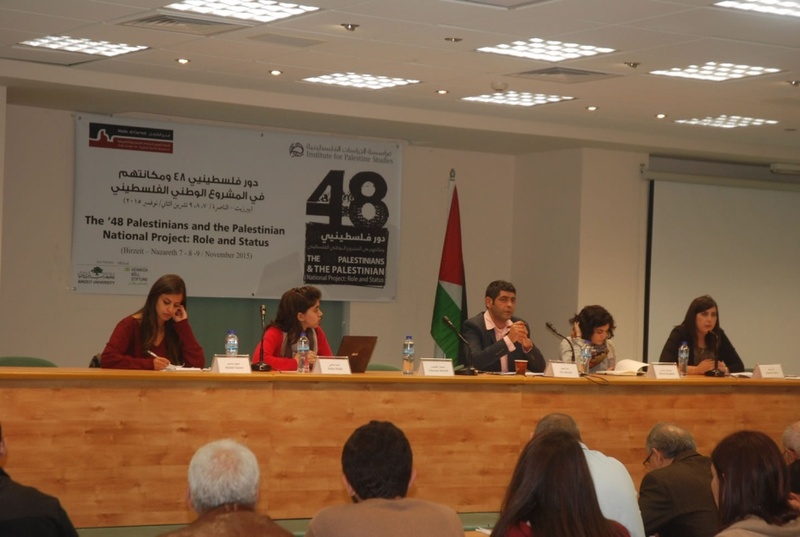 In terms of recommendations, participants overwhelmingly noted the importance of the conference and the continuation of discussions on the subject matter; aligning priorities of the Palestinian national project in Israel and the oPt with that of Diaspora Palestinians; furthering research on critical theory of nationhood, indigenous populations, the role of women in the Palestinian national agenda and the impact of forced fragmentation of Palestinians on the national agenda; further documentation on the experience of the Joint List and its impact on policies and legislations in Israel; further documentation on the impact of the Oslo Accords and Agreement on Palestinian unity; and further documentation on the role of youth in the Palestinian national agenda. It is important to note that the seventh panel, ‘Experience of Collaborative Work’ which included four young women panelists was commended as the most significant and critical/key panels throughout the workshop.